This week was an extraordinarily exciting one for Cherry Hill, as we welcomed two new faces to our local business community. On Tuesday, I was proud to attend the grand opening celebrations for Zinburger, a gourmet wine-and-burger restaurant at Garden State Park, and LourdesCare at Cherry Hill, Lourdes Health System’s new state-of-the-art outpatient care facility located at Brace Road and Route 70, right in the heart of town. Lourdes is a particularly remarkable story. Situated on the former National Wholesale Liquidators site at the Ellisburg Circle, Lourdes has totally reinvented, revitalized and reinvigorated a tract of land that sat vacant for five years, and that has been underutilized and underperforming for decades. 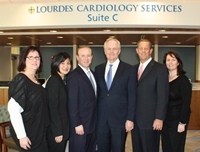 It took just 10 months to move from Planning Board approvals to ribbon-cutting – remarkable by even the most ambitious of timelines, and by the end of this month, the 54,000-square-foot facility will be serving patients within dozens of Lourdes’ wellness programs and specialties, including its renowned cardiac care program. Dozens of new businesses have moved to Cherry Hill since I took office last January, and dozens more have reinvested and grown within our community – creating jobs, building a stable tax base, and sending a message that Cherry Hill is open for business. These new additions simply reinforce my belief that Cherry Hill’s economy is alive, vibrant and thriving, and I am proud to welcome them both into our community. Daylight Saving Time begins this Sunday in the United States, so don’t forget to turn your clocks ahead one hour before you go to bed on Saturday night. While we might lose an hour of sleep, the change mean longer days – and spring – are just around the corner. And remember, these time changes are a great opportunity to check the batteries in your smoke and carbon-monoxide detectors to make sure they are in working condition. The Friends of the Cherry Hill Library will host a Book Sale from March 14 to 16 in the Lower-level Conference Center, during library hours. Friends members have early access beginning at 6:30 p.m. Wednesday, March 13. New members can join at the door! Stop by and browse thousands of books, sorted in more than 30 categories. Hardbacks are $2, paperbacks are $1 and on Saturday, shoppers can fill a bag with books for just $5! Stop by for some great bargains and support the Friends at their biggest fundraiser of the year! For more information, call (856) 667-0300. In late spring/early summer, the Mayor’s Wellness Campaign will publish an online cookbook featuring healthy recipes submitted by Cherry Hill residents and Township employees. If healthy eating excites you and you have a healthy recipe you love, I encourage you to submit it to land a spot in this special cookbook. Recipes should have healthy ingredients – and catchy names are encouraged! Recipes must be submitted by March 15. For questions, or to submit a recipe, e-mail Donna Dovey at ddovey@chtownship.com, or call my office at (856) 488-7878. Congratulations to the Cherry Hill Police Department’s 10 newest Field Training Officers: Paul Holodnak, Ross Hensell, Anthony Sorrentino, Rene Lobonov, Robert Daniello, Ryan DelCampo, Sheldon Bryant, Christopher Hendy, Kristina Grimaldi and Martin Heath. These men and women were selected for this prestigious position because of their stellar records, professionalism and exemplary service to the Department, the Township, and the residents of Cherry Hill. They will be assigned to train eight new police recruits who will graduate from the Police Academy later this year. The Field Training Program gives new officers access to comprehensive on-the-job training with qualified, experienced Field Training Officers, to ensure the best possible service to the community. This Tuesday, March 12, the Cherry Hill Food and Outreach Council (operator of the Cherry Hill Food Pantry at Chapel Avenue and Kings Highway) will host its annual “Friends for Food” Fundraiser at the Coastline Restaurant and Bar, 240 Brace Road. 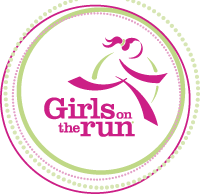 For $10 per ticket, attendees will be treated to a light buffet and dessert in support of this local philanthropic organization, which supports thousands of Cherry Hill families in need all year long. The event runs from 7 to 9 p.m., and will feature plenty of gift baskets and raffles for your enjoyment. For more information or for tickets, call (856) 482-0678. In late spring/early summer, the Mayor’s Wellness Campaign will publish an online cookbook featuring healthy recipes submitted by Cherry Hill residents and Township employees. If healthy eating excites you and you have a healthy recipe you love, I encourage you to submit it to land a spot in this special cookbook. Recipes should have healthy ingredients – and catchy names are encouraged! Recipes must be submitted by March 15. For questions, or to submit a recipe, e-mail Donna Dovey at ddovey@chtownship.com [mailto:ddovey@chtownship.com] , or call my office at (856) 488-7878.